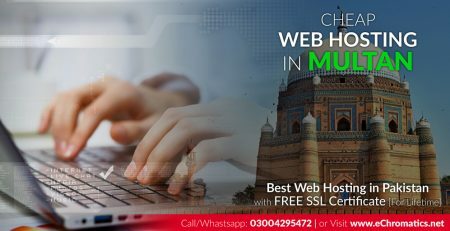 Web hosting in Peshawar can be a boon to your business with its indispensable services like free domain registration that speaks high quality and low cost. eChromatics is one company that promises you everything you need with a speed that has no limits on the internet. It is a known fact that having a high performance dedicated server can be costly for maximum websites that we access on the web. eChromatics offers a web hosting solution that boosts performance from well-renowned data centers, keeping in mind the necessities of both small and large scale businesses. We alter our web hosting package services based on your need. Let us run you through the pros of our company. The first factor that comes to mind when a user approaches for web hosting service is the cost. Although there are many companies that offer reasonable prices for web hosting, there is always a nagging worry of the hosting size and benefits of uptime. At eChromatics, you can find the best packages that can help you achieve maximum hosting space in surprisingly low costs. eChromatics boasts of very ten economical hosting plans that are suitable to all types of users and customers. We also offer business web hosting for websites with high traffic for extra bandwidth that promises the best uptime assurance. Our servers are highly stable and ensure that a 99.9% uptime is attained for all web hosting packages. Users on the web with an intention of registering an individual domain or starting a business online can benefit from the web hosting services offered by us. We are a leading SEO service provider in Karachi, Pakistan with an experience more than a decade. Search Engine Optimization is the method of drawing probable consumers to your business through search engines like Google, Bing or Yahoo. Our services focus on bringing our client to the top of the list of a search engine database with an intent to extract optimum results for his business. Apart from this, we also provide free consultancy as an additional SEO service that covers both local and international companies. If you want your website to stand out in the crowd, you know where to reach us! We review your website and study its characteristics to understand what it needs. 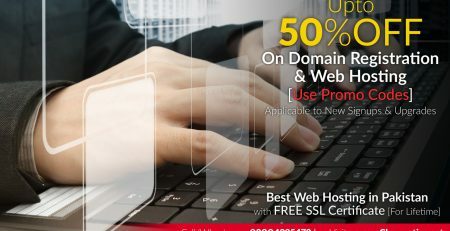 We provide services like website structure analysis and optimization, content suggestions, processing XML sitemap schema, social bookmark submission, research and analysis for keywords and descriptions, Google analytics integration, link building, directories submission, rankings review across major search engines and fixing broken links and other HTML errors. We are a professional group of skilled specialists that adhere to every service we offer with dedication. E-Commerce websites are mostly based on buying and selling products online. Almost every business today is opting for e-commerce solutions to give their business a boost. eChromatics makes this easier for you by providing solutions that make you e-shopping easier and better! Our service claims to deliver a safe, secure and steadfast online shopping solution at a price that is extremely affordable. We cater to the extraction of the best quality from our digital solutions in the shape of web designing in Pakistan and development, web hosting, domain registration, search engine optimization, website promotion, SMS marketing, and logo design service in Karachi, Pakistan. OpenCart is the platform we use for online store web development. It is a robust open sourced shopping cart system that is rich in features and user-friendly. This powerful e-commerce solution permits online businesses to produce a vivid online website for their business and contribute to e-commerce at a very affordable price. OpenCart development services offered at Octal IT Solution enable you to manage a broad range of business tasks in a laid-back and well-organized manner. A logo represents your business and clarifies the quality of your work. In simpler words, it makes the first impression which is very crucial to your business. To get the right attention of the right audience, the right logo is essential. It is the flagship of a company’s brand and helps your business garner recognition and tell the audience who you are. A logo becomes your identity. A good logo should not only have features like a good design or color or text, but also a quality of simplicity that helps people in distinguishing you from the rest of the throng. At eChromatics, we do not use clip arts. We have a qualified team who has expertise and experience in graphic designing. We offer complete customer support and reasonable rates for our services. Email marketing is one of the most successful methods of sales and marketing of a business. It focuses on personally connecting with the target users and giving their business a qualified service in the end. eChromatics offers complete email marketing solutions that suit the customer’s needs. We provide high-level email delivery and corporate email addresses to help in the interaction between different organizations and their clients. Website domain registration has become extremely fundamental on the internet in today’s world. A domain name, like a logo, expresses the individuality of a company. eChromatics offers domain name registration service for both InterNIC and PKNIC in Karachi, Pakistan. The choice of the domain name is left to the owner and it requires InterNIC registration. You can also get nationalized domain names that consist of a country code. This requires a PKNIC registration. If the domain that you desire is already on the web, eChromatics can assist you in choosing a name that best matches with your needs and desires. Website designing is our forte and we take pride in being one of the best in Peshawar, Pakistan. Our creative teams are well trained and meet the benchmark standards of website development and design. Our skills are inventive and our layouts and visualization are fresh.